As an Ohio based wedding photographer, we are often capturing the emotions of young love during an engagement session. During such shoots, couples ask us if they should include an engagement photo with their wedding invitation? We say YES! In fact, we’ve seen couples use a photo from their engagement session as the back of their invitation. There are several companies that will print directly on the back of your photo without ruining the actual shot. This is a great way to announce your engagement and wedding plans as well as give your guests something immediate to hold on to as a momento of your special love. E-vite slideshow – This is a new trendy take on an eco-friendly way to get the word out! Take the photos from your engagement session, upload them to Vimeo and send a slideshow with wedding details as an e-vite. 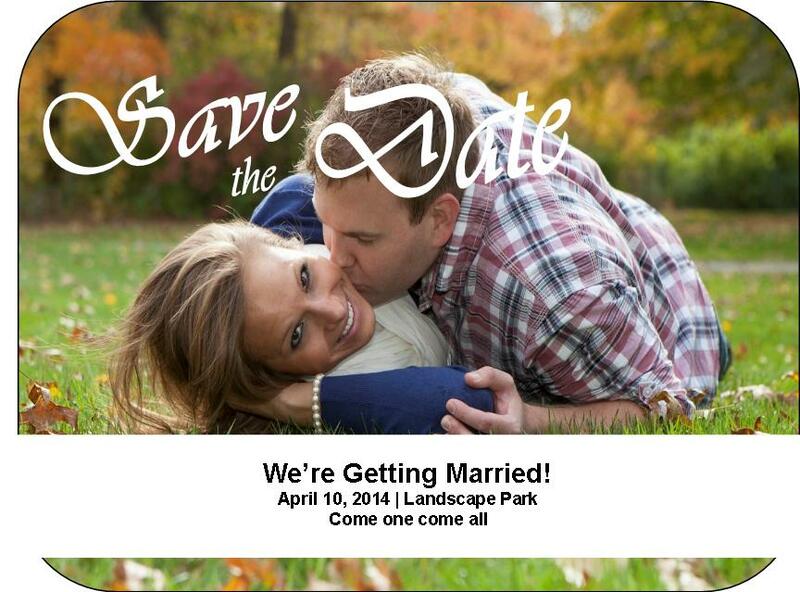 Save the date magnets – Your guests will never forget when your wedding is. It will always be front and center on their fridge. Guestbook – Use online sources like Shutterfly to create a wedding guestbook which includes photos of your engagement shoot. This is a great way of showcasing your love before and after “I Do”. You should consider an engagement shoot as an integral part of your entire wedding experience. This is where your commitment starts, the “I do’s” just seal the deal. If you’re looking to create these lasting memories, give us a call and let’s talk about who you are and the best way to capture your love.